A new twist on the college football forefront suddenly. 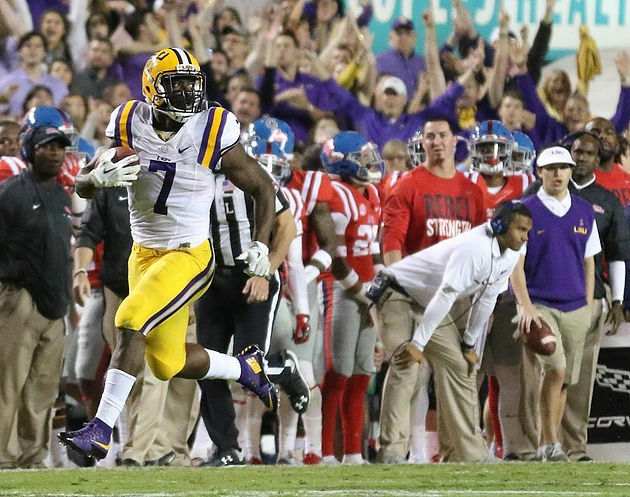 This past weekend showed a major changeup in the college football rankings. With Georgia, Notre Dame, and TCU receiving road losses, the College Football Playoff rankings have a few new faces within it’s top ten. 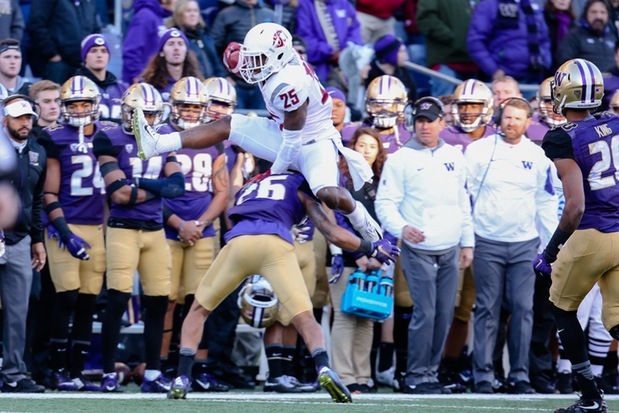 Also across college football, UCF showed once again why they have one of the more dominating offenses in the country while the Washington Huskies also suffered a significant blow to their College Football Playoff hopes. In addition, there was a much-needed termination of a tenure within the SEC that was pretty inevitable. On to the observations across college football in week 11. 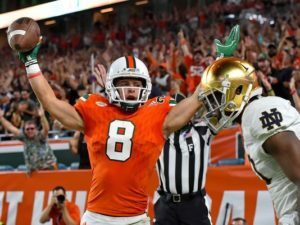 It was billed as the biggest game in years for the Miami Hurricanes as they faced a marquee rival in Notre Dame, The Hurricanes sure treated it as one as they steamrolled the Fighting Irish, 41-8. It was the second straight dominating win for the Hurricanes after handedly beating Virginia Tech last week. Now the Hurricanes find themselves at #2 in the Coaches and AP Polls. A trip to the ACC Championship is ahead for Miami on December 2nd. The big question now is if Miami is truly back. Opinions vary with that answer but it’s hard to not be impressed with how dominant Miami has looked in their past two games. For several weeks, Penn State running back Saquan Barkley was the lead horse in the race for the Heisman Trophy this season. The Barkley train has slowed down considerably and now leading the race may be Oklahoma senior quarterback Baker Mayfield. On the season, Mayfield has 31 passing touchdowns with only five interceptions along with eight games of 300 or more passing yards. Not to mention his Oklahoma Sooners are 3rd in the AP Poll and clearly in the CFP picture. There is not been a list of Heisman favorites during the season but Mayfield is peaking at the right time. Ironically, thanks to their arch rival Auburn, the Alabama Crimson Tide had a chance to take back their #1 ranking with Georgia losing. In their way was an improving Mississippi State program with eyes towards a major upset. Mississippi State took an early 4th quarter lead at 24-17 and appeared to have an upset in clear sight. That was until two late touchdowns by Alabama gave the Tide a 31-24 win, which slides them to the #1 ranking in the polls. While this Alabama team is 10-0 and in the driver’s seat, this same Alabama team has looked slightly vulnerable during the season. A close call in Starkville against Mississippi State has some wondering if this is even the best team in college football at the moment. The wild ride that was the Butch Jones tenure at the Tennessee has now come to a complete stop. In just about five seasons on the job, Jones went 34-27 overall, which includes going 14-24 in the SEC. The writing was on the wall for a while now with this termination and replacing Jones may have a number of interesting names. One in particular is former Oregon head coach Chip Kelly. His offensive mind will create intriguing coaching matchups and his recruiting chops will fit in the SEC. TCU’s Gary Patterson and Washington State’s Mike Leach are also a few names tossed around here and there. 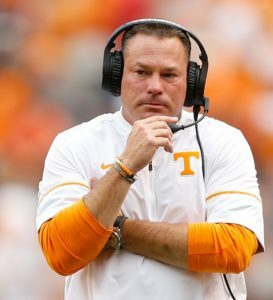 There is an overall good program for a coach to inherit at Tennessee.